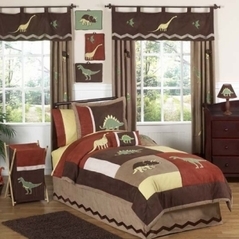 Welcome to our section of Childrens Monkey bedding! 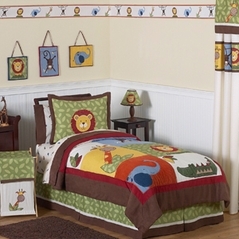 In this section you will find the finest Monkey Print Childrens Bedding sets that your kids will go bananas for! 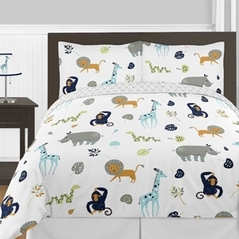 Monkey Childrens bedding is adorable and hypoallergenic and always comfortable. 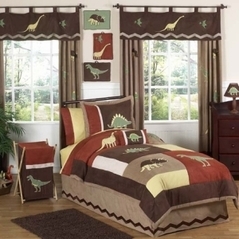 Like our popular childrens animal bedding sets and our bestselling dragonfly childrens bedding, we are sure that you will find the twin bedding set that best matches your existing decor here at Beyond Bedding. And as you browse through this monkey childrens bedding section please note that we have dozens of other vibrant themes all by designer makers like Sweet Jojo Designs. 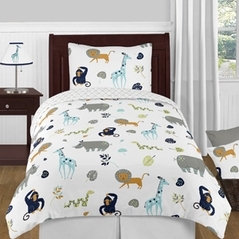 We are constantly updating this childrens monkey bedding section as well as all of our beautiful themed twin bedding sets so please check back often and remember to choose Beyond Bedding for all of your bedding needs.